Highly Professional dealing with employers, clients both local and international through Online freelancing. Highly skilled in Accounting, Bookkeeping Accounting software management & Excel automation. Accounting Skills: Financial Analysis Bank Reconciliation Inventory Management Accounts Payable Management Account Receivable Management Operation audit evaluation, control, plan. Set-up Accounts, Accounting Software start up business. 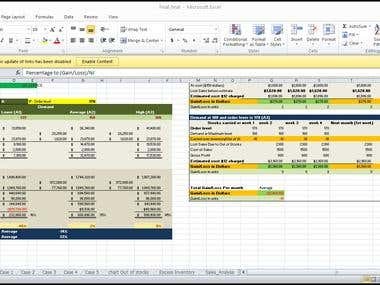 Excel Automation Skills Formula and functions (Complex) Accounting Database excel automation Inventory, Payroll, Bank Reconciliation, DTR Checks, Voucher, Invoicing, VBA, Macros [login to view URL] Management: Quickbooks online and offline Xero Accounting Saasu Waveapps MYOB Manager Fast, Excellent, Quality, Reliable Performance. God bless. A Sole Proprietorship business handled and operates different business and one separate College non-profit educational institution (QCSPI. Responsible in ensuring Accounting are recorded properly, Preparing Internal Financial reports, Audit internal operation and control, Support and helps business evaluate Financial status for owners needs. Rental properties which own by USA owner (Mark Gray Unique Edge Management) Handling all accounting task, bookkeeping, Quickbooks Management, Google spreadsheet design automation and financial analysis of Rentals properties in Thailand, US, Taiwan and Vietnam. 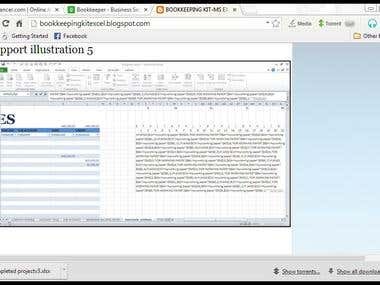 Online Bookkeeping with Janik Litalien the Director of Hongkong Systema Limited and work with my own time with all accounting transactions and class attendance for Hongkong Systema Martial Arts Students. Great and pleasure to be part of of working team. Good employer ever!. I always thanks Janik Litalien for giving confidence and trust towards my responsibility. Responsible in review the operations from different branches. Responsible as internal auditor for various branches. 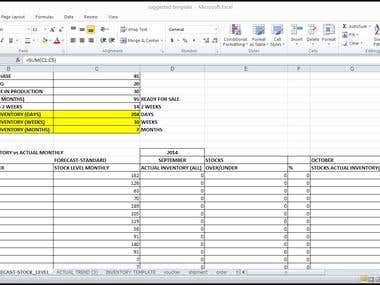 Responsible to assist all Station head of the company about excel automation and operations. 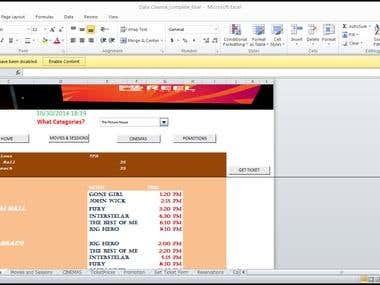 Responsible to assist how to use Quickbooks for different station head or staff in various branches. Responsible for operational accounting and recording. Responsible in automation for working paper for various clients individuals and corporations. Responsible in Tax compliance in the Philippines with the assign clients Local and National. Responsible to assist Financial Statements compliance annually of various individuals and corporations merchandising business, Manufacturing and Service business organization including Non-profit organizations. Responsible in sales receipts, receivables encoding. Responsible in Bank reconciliation. Responsible in Inventory adjustment and correction. Responsible to assist accounting procedures and control in the organization. 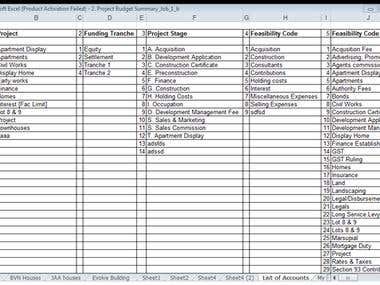 Responsible to assist excel automation applicable in the business industry as Food chain business. Note: First experienced job after graduation 2010. Responsible in Quickbooks supervision and corrections of entry. Responsible in Training of OJT. Responsible in Check and voucher automation. Responsible in Financial Statements. Responsible to assist all areas of Accounting process and procedures. Note: the experienced before I graduated of my degree. I'm still 3rd at this time. Responsible in handling cash receipts, collections, disbursement. Responsible in Bank reconciliation. Responsible in Payroll weekly and monthly. Responsible in purchasing items. Note: The assignment it depends in semester/s not done once at a time. Diploma as degree holder of Bachelor of Science in Accountancy. Certificate updates seminar for esales BIR and updates of tax compliance. Bookkeeping seminar in the Philippines, tax compliance and other updates. 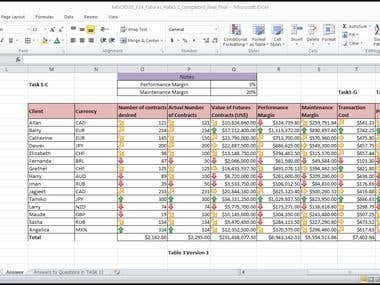 Online tutorial of excel automation and Accounting management in excel. Contributions of insights in Accounting about accruals and other Accounting insights. 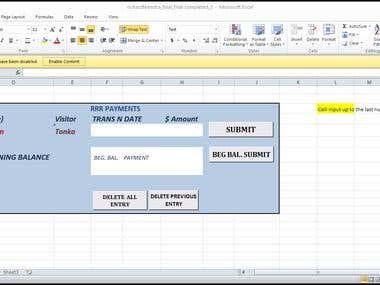 Writing articles and tutorial also of excel automation and Business insights, quotes, ideas.